Advantages for the medical profession. Custom build your solution with time-saving features from our InfoCentral tool, our WebShare tool, or both. And make your practice more perfect. Import and export data and manage and merge multiple databases or datasets between systems, with a multifunctional RESTful API, including JSON, HL7, and XML. Save space with digital storage. Access records anywhere you have an internet connection. Accommodate multiple patient encounters. Define your system by user, create automated process notifications, and see updates in real time. 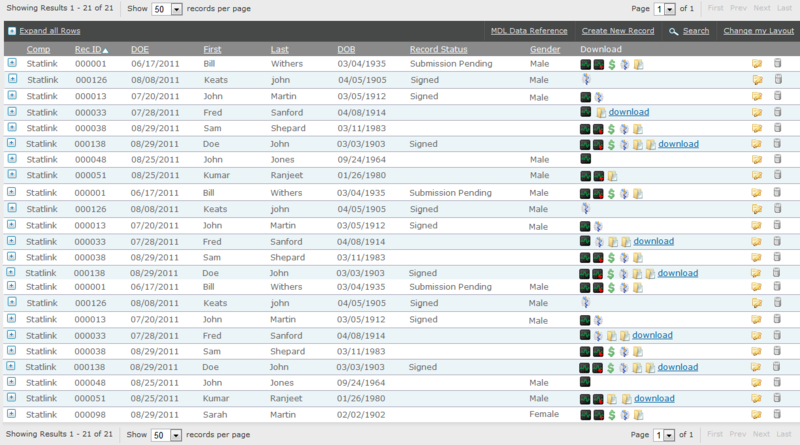 Use the information and files in your database to create reports, letters, and interpretations. Ensure consistent best practices from any office and at any level of computer literacy. Decide reporting ability based on user roles. Archive everything and retrieve it immediately. Virtually eliminate costly physical-space storage with Infinite Digital Record Archiving. Consolidate all your physical and digital records into one data warehouse and segment as needed. Ensure world-class privacy and security. Adhere to standards that surpass those of the U.S. Department of Defense and U.S. banking security - including HIPAA, PCI, and ISO17799 - with 256-bit SSL encryption. All within a fully insured system. Ready to make your medical practice perfect? Contact us now and let us help you define your software solution.